The holidays should be a time for celebrating, gathering with family and friends and kicking back to enjoy good food and great company. But sometimes the pressure to achieve perfection in the holiday frenzy gets to be too much. I’m here to show you that tasty, festive party appetizers are as close as your pantry or refrigerator with three easy recipes. Bonus: They’re all made with ingredients you probably have on hand—many of them made locally. It doesn’t get much easier than serving nuts with drinks when you’re entertaining. Here’s a simple recipe that will turn a bowl of boring nuts into your favorite party offering. This sweet, spicy, protein-packed snack is hard to resist, so you’ll probably want to make a double batch. If there are any left over (hahahaha), they are a delicious addition to your next salad. My friend Dan has a side hustle making rich, mellow maple syrup from the abundant maple trees on his property. He keeps me in that golden amber ambrosia all year long. Even if you don’t have a friend like Dan, there are many convenient sources for real Maine maple syrup and plenty of uses beyond pancakes and french toast; let your imagination run wild. It’s delicious drizzled on ice cream, a sweet addition to a savory salad dressing, and a surprising sweetener in a cup of tea. These nuts, however, may be the best and highest use of Dan’s syrup. The combination of the luscious syrup with the spicy Sriracha sauce makes for a wickedly good flavor combination. 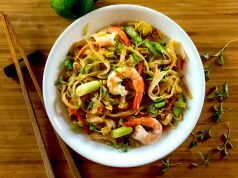 Serve with one of Maine’s outrageously great craft beers and you have a party! Line baking sheet with parchment paper. Combine syrup, Sriracha and vegetable oil. Add nuts and toss until all are coated evenly. Spread coated nuts out evenly on baking sheet. 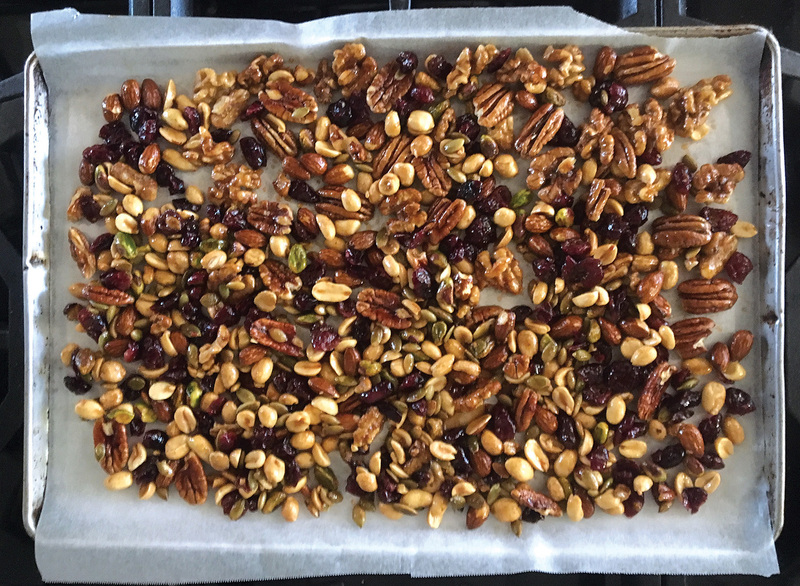 Bake for 20-25 minutes, tossing the nuts occasionally so they don’t stick together. Remove from oven and sprinkle with salt (I love Maine Sea Salt Co.). Let rest for at least 30 minutes before serving. Maine has an embarrassment of riches when it comes to producers of outstanding dairy products, like award-winning cheddar cheese. And let’s be honest, there is nothing that hits the spot quite like cheese and crackers. It’s a sophisticated, easy way to please hungry guests. There’s no recipe for this quick and tasty cheese hack. 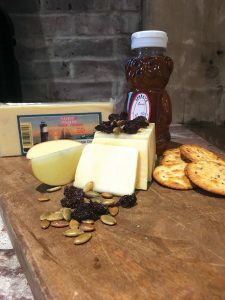 Just take a great bar of cheddar (State of Maine, Pineland Farms, and Cabot all make outstanding cheddars from local milk), drizzle it with Maine honey (I really love Sparky’s from Hope, Maine, or Swan’s in Albion) and sprinkle with dried blueberries, cherries, or cranberries and nuts. Serve with crisp Maine apple slices or crackers. In a tradition that dates back to the Egyptians, eating black-eyed peas on New Year’s Day is said to bring good luck. 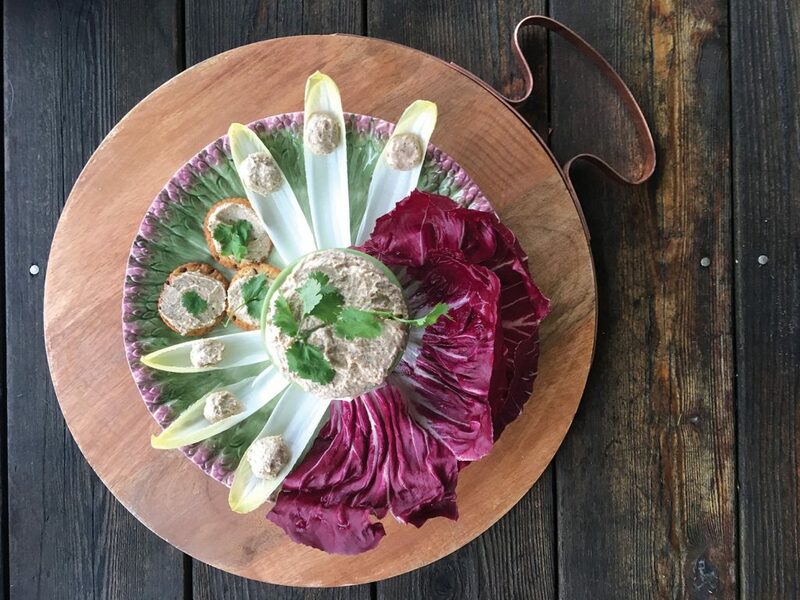 This delicious dip is the perfect way to ring in the new year. The beauty of it is that it can be made throughout the year with virtually any kind of cooked beans—black, white, soldier beans, yellow eyes, Jacob’s cattle or Great Northern—any bean will do. The State of Maine company has a wonderful selection of local dried beans, as do most farmers markets throughout the state. If you are starting from scratch and preparing dried beans for this recipe, you’ll want to use about two cups of cooked beans instead of one can of prepared beans. Blend all ingredients together in a food processor until creamy smooth. Serve with veggies or crackers. This dip also makes a tasty sandwich spread with deli meats, lettuce, and tomato. Candace Karu makes her living writing about food, fitness and travel. She lives near the ocean in an old farmhouse with two ill-behaved dogs and two hard-working barn cats. Follow her on Instagram: @candacekaru or at www.candacekaru.com.